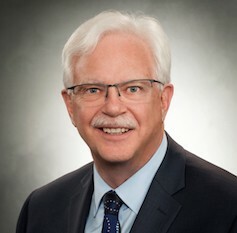 Judge David Arnot was seconded from the Provincial Court of Saskatchewan on January 15, 2009, and was appointed Chief Commissioner of the Saskatchewan Human Rights Commission for a five-year term. On January 15, 2014, Judge Arnot was reappointed as Chief Commissioner for an additional five-year term. On January 1, 1997, he was seconded by the Federal Government to be the Treaty Commissioner for the Province of Saskatchewan for a 10 year period. In 2002, as a voice for reconciliation and with the guidance of Elders, David introduced the phrase — “we are all treaty people” — a phrase that is in the discourse in Saskatchewan classrooms and is now part of the lexicon across Canada. Judge Arnot’s work on the “Teaching Treaties in the Classroom Project” was specifically cited as a model for Canada by the United Nations Special Rapporteur on Racism in his report presented in March 2004. In October 2005, the Office of the Treaty Commission was selected by the Canadian Race Relations Foundation to receive its biennial Award of Excellence for education programs in the public and government sector. Judge Arnot has produced and directed a number of video education projects. He has been involved in education for the Judiciary through the National Judicial Institute, the Western Judicial Education Centre, the Canadian Association of Provincial Court Judges, and the American Judges Association. Judge Arnot has been honoured by numerous awards and recognition.